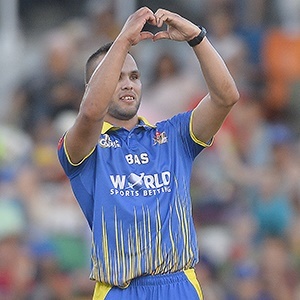 Cape Town - Dane Paterson bowled one of the great death overs of his career to earn the Cape Cobras a thrilling five-run victory over the Highveld Lions to complete an outstanding opening weekend of the CSA T20 Challenge at the Wanderers Stadium on Sunday. The Lions entered the final over, needing just eight runs for victory with five wickets in hand although neither of their batsmen at the crease, Wiaan Mulder and Dwaine Pretorius, had faced a ball at that stage. Paterson conceded only two runs off his final six balls and took three wickets, one of them as the result of a direct hit run out to remove Mulder. If one also takes in account the fact that he hit the final ball of the Cobras innings for a six, then his contribution was immense. It also served to highlight one of the important by-products of this competition to provide opportunities for fringe franchise players. The 22-year-old Rickelton was one such example as was the 23-year-old Marques Ackerman in the Dolphins victory over the Knights on Saturday evening.